What is detecting? 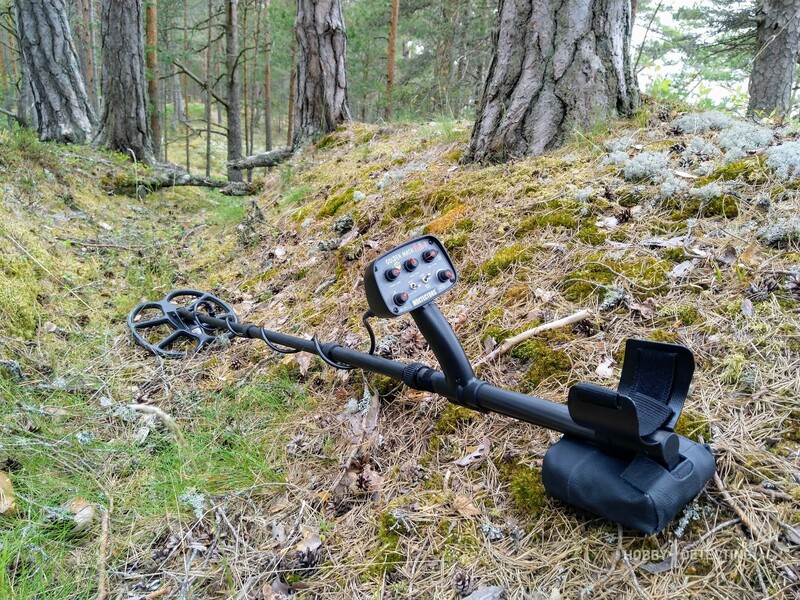 Do you really think that if you bought a metal detector, you will at once start finding gold and treasures? Now that’s not exactly the case, as most detectorists know. The place where you dig has a lot to say, and I will tell you about just one such time where I searched for the right spot. On the maps available on the Internet, there is very little that can be found – everything is already detected, for the most part. But sometimes I’m lucky, and sometimes I’m not. The main point is that you should always go and look for new places, so I decided to check out one old point that I found a few years ago. For a long time I didn’t have time to go detecting in this place, but now (in the summer), when all the fields are sown, I went to that spot. It is marked on the maps of the late 19th century and it is on a map from 1935. 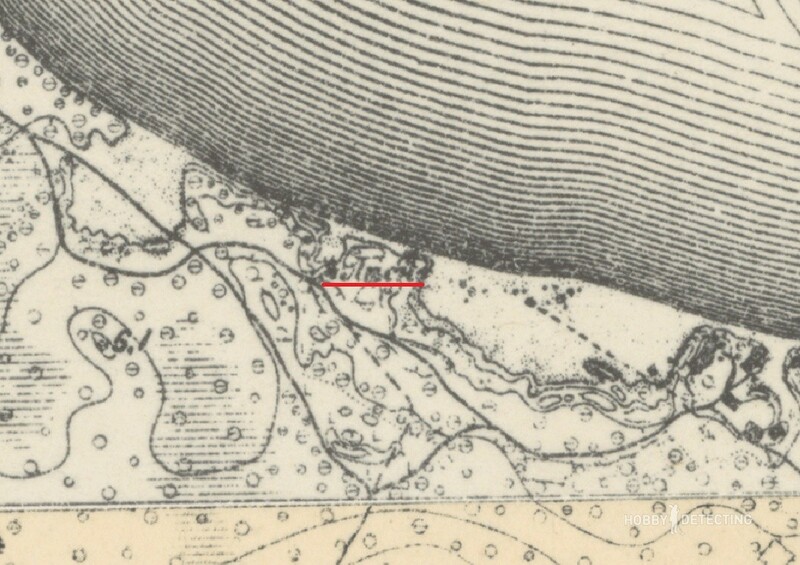 On the maps from the 1940s and older, there is no construction and forestry in this place, and consequently, there can be (theoretically) quite interesting finds there. Arriving at the point at first determining the direction of detecting, the old map could not be distinguished by accuracy, therefore, it was necessary to wander a little. In the woods, the grass was low with moss and sand. 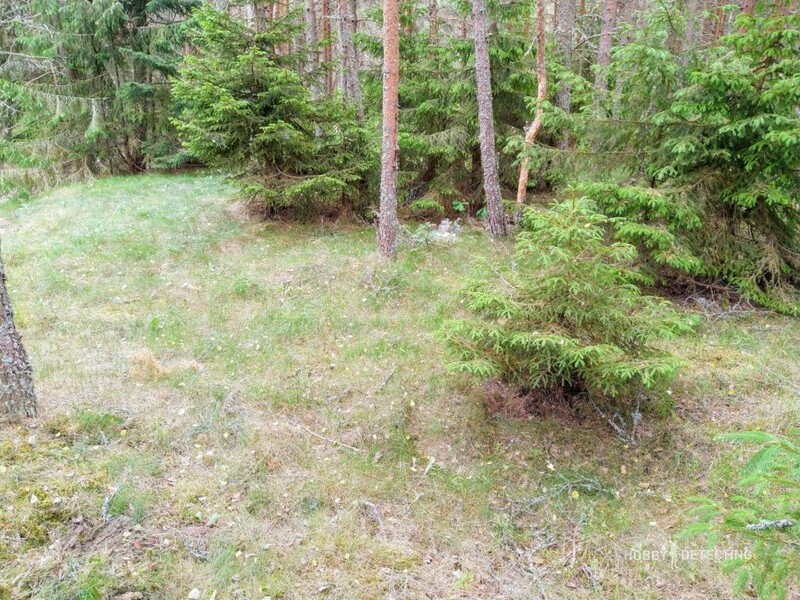 Along the whole forest line, on the high-grounds, there is a line of trenches, and judging by the looks of it – postwar ones that were constructed for educational purposes. In the trenches in places there are shells and whole cartridges. 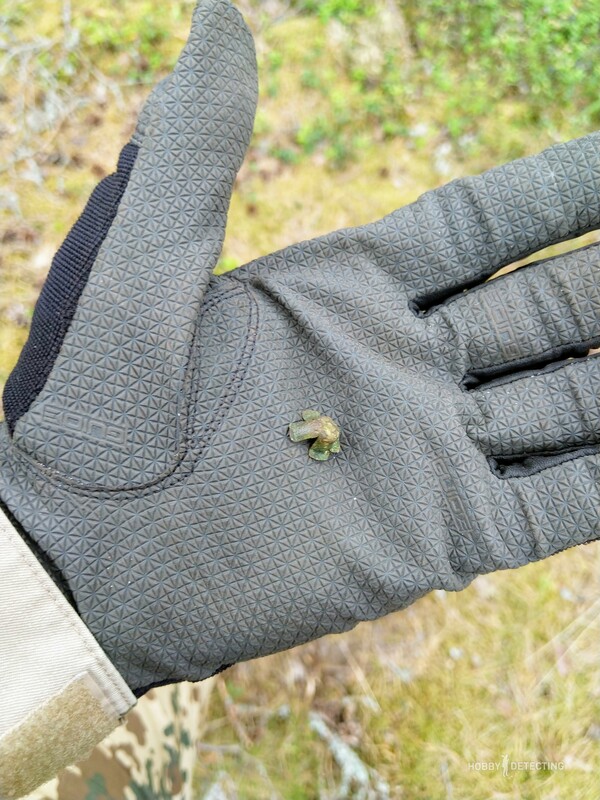 There was also a small piece of “trench art”. Between the trenches there are also several ravines, ravines must be searched through by a metal detector because there can be a lot of interesting things there. In my case, the ravines turned out to be empty. 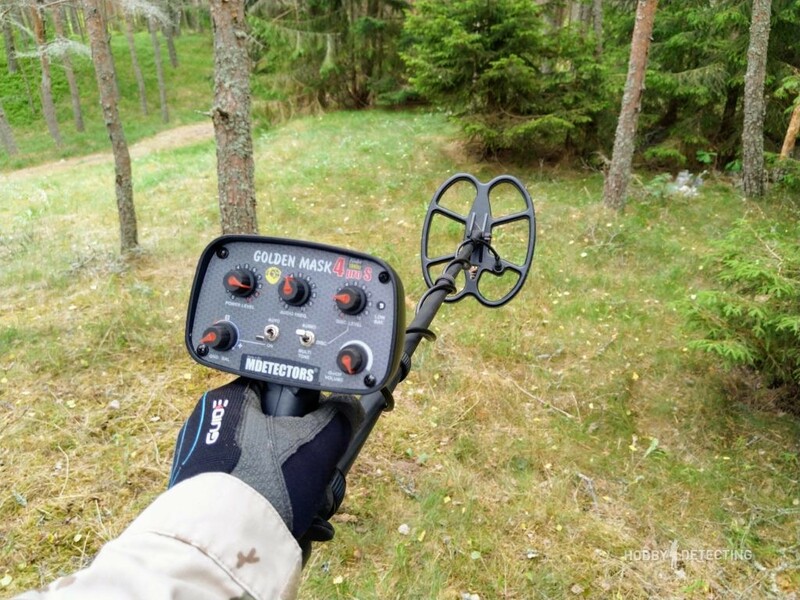 In this regard, an analog metal detector is very useful, to dig here you need any signal because both iron and other metals can be interesting finds. On my Golden Mask 4 PRO S I did not use the discrimination, I put the sens at a stable level and manually ground balanced. Very simple and easy to learn, but it is quite informative! From all the objects so far only such a piece of metal was found – this was either a tag or something else, it’s hard to say. 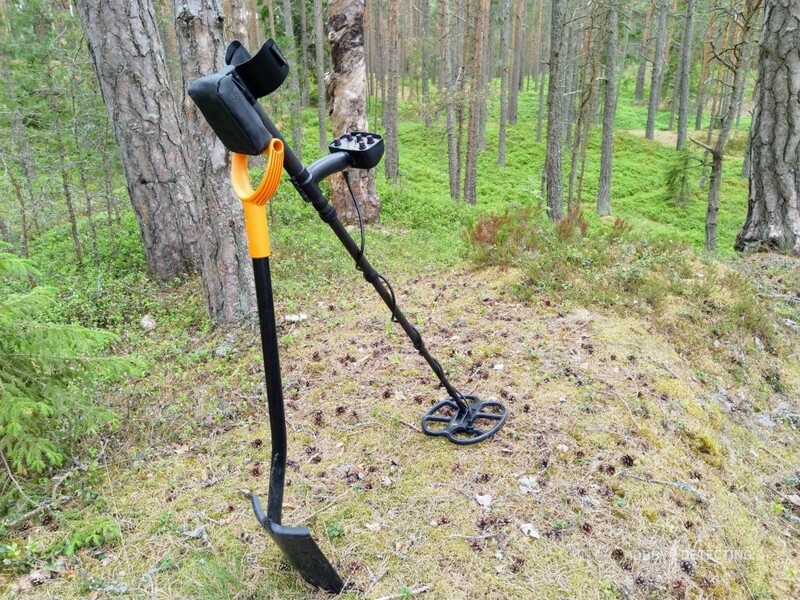 Well, our task is to find something left from the forester’s house and see if it can be excavated and whether there are interesting finds there. Half an hour later of wandering through the forest and the place was found. Now I need to fully check it and go through it with a metal detector. 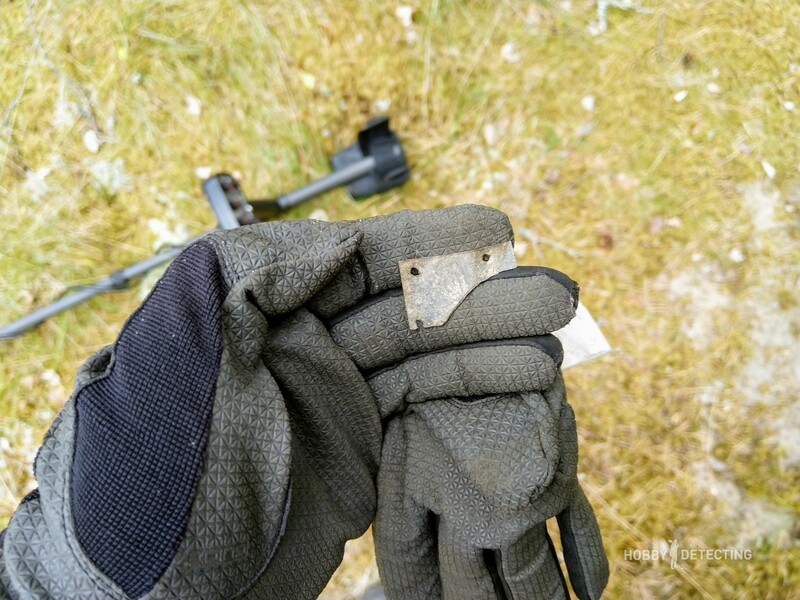 But here they are, all the charms and realities of detecting – apparently there was nothing in the house pit, only some trash on the side, but that wasn’t true! The pit turned out to be full of metal junk from after the war, thanks to the tourists. It turns out that the whole point of detecting there was lost because the pit is full of cans. Or is this something by the military after their exercises and trenches? I do not know, there is no simple answer. Even on the map, everything looks beautiful and tempting, in reality everything can be different. What happened to us – a house pit was found, but it was all littered with garbage, unfortunately. Yet another interesting detecting location ceased to exist.